BubbSoc was established in 2015 when a group of four friends ran out of things to do on the weekend. Being an active bunch, they had already exhausted the activities available in their city and noticed the lack of variety in the recreation market. As a result, BubbSoc was formed. 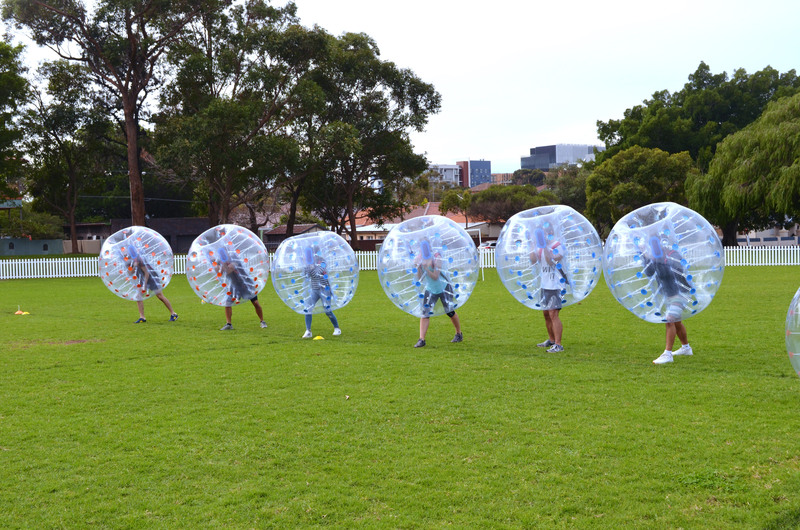 The concept of bubble soccer envisages everything the friends care about: fun, relationships and health. True to this, BubbSoc aims to deliver a friendly, enjoyable and affordable service to all people. Our equipment is of the highest quality ensuring you get maximum bounce!